Campingplass Picos de Europa er en campingplass i Avín, Asturias, som ligger ved en elv/bekk. Denne terrassecampingplassen har steder med avgrensning, med skygge, uten skygge og plasser med noe skygge. Det er mulig å leie leiligheter og hytter. For sportslige feriegjester arrangerer campingplassen utflukter, fotturer med guide og ulike sykkelturer. Campingplassen har utendørs svømmebasseng og barnebasseng. Det er ikke alltid nødvendig å lage mat selv, for på campingplassen er det restaurant (begrenset meny) og restaurant (med omfattende meny). På campingplassen kan man også kjøpe nybakt brød. Det er mulig å bruke internett, for det er WiFi-tilkobling. Denne inspektøren besøker hvert år Campingplass Picos de Europa og inspiserer campingplassen for ca. 200 fasiliteter og for andre punkt som forekommer. Inspektøren er en medarbeider fra ACSI og arbeider ikke for campingplassen. Lovely campsite, with fabulous views of the Picos. Several good walks from the site, and close enough to walk into Potes for shopping, bars and restaurants. Facilities very good, and the bar/ restaurant on site also good. Very friendly and knowledgeable staff. Close to Fuente De for cable car - during busy season try and get the early to avoid queues, the cable car doesn\'t take dogs. This site really failed to live up to its 8 star rating. Granted we arrived in September and it was wet. We each terrace to find a drier pitch but as soon as it rained it turned into a big. You would have thought bring on the top terrace it might have drained better but not so and given this must be commonplace you would have thought the owners might have done something about the drainage. The electric posts were all domestic plugs with flip covers, several of which were broken, used externally. Given how wet it was I was a little worried about touching it. The toilet facilities are haphazard e.g. One gents block has showers sinks and urinals and the other showers sinks and WC's. granted it may be better in the height of summer but we won't be going back to find out. Excellent, simple and family friendly place with good restaurant and easy walk into Potes. I left my bag in the restaurant when we left and they had put it by for me. 3 times along the pass to Leon peaking at 4600ft is not to be sniffed at. We stayed in August and this site was very busy however we found it very pleasant. We have a 8m caravan and found room for our awning too. Not much space for our car so was able to park it elsewhere. There is a lovely swimming pool, trampolines for kids and a very nice restaurant serving a very cheap buffet or tapas. Also the wine is very cheap per bottle. The shop sells all the basics plus bread and croissants. Clean toilets as usual In Spain. The people who run the site are lovely, the young man on reception seems to be there 18 hours a day and will help with anything, he even rang a restaurant and booked it for our anniversary. Casa Marcial, 12 course tasting menu, 2 michelin stars, amazing meal. We got a taxi to the site. You can walk to restaurant and bars and some caves but everything else is a drive away. No cycling or walking from the site but amazing walks in the Picos, a funicular up or down at Bulnes and a coach journey up to some amazing lakes at Casalunga. The canoeing at Arriondes is great, like a canoe motorway but fun all the same. You have to arrive at 11am and you can canoe for 7/12 or 15 km and be picked up from the other end. Would highly recommend this site, but they do like you to book it. I can imagine that they would always for you in though. They had some lovely looking wooden huts for rent too. We will definitely return here. Hard working staff. Gostamos do parque, calmo e limpo. A Piscina deveria ser mais bem tratada. A comida do restaurante é boa a preços normais. O staff muito atencioso. A lovely campsite, next to a river. In the cold weather the log fire is very welcoming. Cavadonga is certainly worth a visit. The walk out of Cavadonga is not the easiest however at the top is an oasis. The lakes are also worth a visit. Walking out of the campsite towards Avin don't miss the caves with the Ice Age animals, the lady who looks the caves is very helpful and knowledgeable. Vil du booke campingplassen Campingplass Picos de Europa eller få mer informasjon? Det går bra med opplysningene nedenfor eller via campingplassens nettsted. 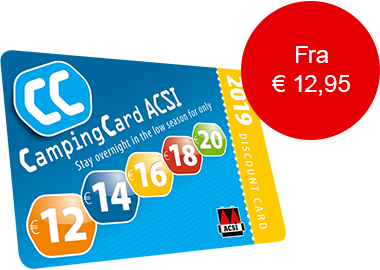 ACSI Eurocampings sender din forespørsel til "Campingplass Picos de Europa".